Weekend Preview: AAI National XC, Malcolm Cup, Run 4 Rescue… and more! An abundance of local talent will be in action at this weekend’s Irish Life Health AAI National Senior, Junior and Juvenile Even Age Group Cross Country Championships in Abbottstown, County Dublin (Sunday 25th November 2018). The senior athletes will have an added incentive as they contest medals over the purpose built course, with places on the Irish team for the upcoming European XC Championships up for grabs – the first two finishing senior athletes (male/female) will gain automatic selection for the event, which takes place in Tilburg, Netherlands next month (Sunday 9th December 2018). Podium finisher at the prestigious AAI Autumn International XC, Fionnuala Ross (Armagh AC), will head the local challenge for honours. The Northern Ireland and Ireland international will start alongside high profile local stars Kerry O’Flaherty (Newcastle AC), Ciara Mageean (Team New Balance Manchester), Ann-Marie McGlynn (Letterkenny AC), Breege Connolly (City of Derry AC) and Teresa Doherty (Finn Valley AC). Joining the aforementioned athletes in the Senior Ladies 8,000m will be Catriona Jennings (Letterkenny AC), Jessica Craig (North Down AC), Sinead Sweeney (QUB AC), Rachel Gibson (North Down AC), Katie Moore (North Down AC) and Rebecca Henderson (QUB AC). In the Senior Men’s 10,000m, multiple cross country Champion Declan Reed (City of Derry AC) will play a part at the front end and should be joined by fellow Ulster men Eoghain McGinley and Darren McBrearty, both of Letterkenny AC. Conor Duffy (Glaslough Harriers), Neil Johnston (Springwell RC) and Ben Branagh (St Malachy’s AC) will also place well. The Even Age Group Championships will feature many of the local NI & Ulster medallists. In the Under 12 category, Miah Fletcher (Cranford AC), Cait O’Reilly (Annalee AC), Luke McCausland (City of Lisburn AC), Oisin Lynch (Finn Valley AC), Harry Shields (Letterkenny AC) and Fionn McNamara (Annalee AC) will be amongst the local challengers. Meanwhile, in the Under 14 age group, representing their club, county and province will be Gearoid Lynch (Shercock AC), Boyd Russell (Olympian YC), Oisin Duffy (City of Derry AC), Jack McCausland (City of Lisburn AC), Katie McCleery (City of Lisburn AC) and East Down AC pair Lauren Madine and Anna Gardiner. Dylan McBride (Willowfield Harriers) and Sean M McGinley (Olympian YC) will be competitors in terms of individual and county prizes in the Under 16 category, but both will be in the Ulster provincial team. In the same age group, Amy Greene (Rosses AC), Cara Laverty (City of Derry AC), Joel Chambers (Loughview AC) and Sorcha Mullan (Omagh Harriers) will be worth watching. Star performer in Antrim last month, Mia McCalmont (Tir Chonaill AC), will feature in the Under 18 age category and will be joined by Rebecca Wallace (Lagan Valley AC) and Hannah Gilliland (Willowfield Harriers) in the ladies race. In the associated men’s event, St Malachy’s AC men Adam Ferris, Conall McClean and Tony McCambridge will be chasing silverware. The same can be said for Craig McMeechan (North Down AC) and Fintan Stewart (City of Derry AC). Provisional entry lists for the event are available HERE. A course map and further information in relation to the event is available HERE. 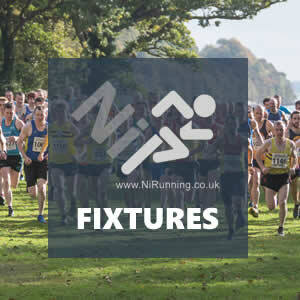 Elsewhere this weekend… the Athletics NI XC League 2018/19 continues! Closer to home this weekend, athletes will travel to Sixmilewater Park in Ballyclare for the latest round of the Athletics NI XC League 2018/19, the Malcolm Cup XC, hosted by Annadale Striders (Saturday 24th November 2018). After 2 races of this year’s league, North Belfast Harriers (52 points) and North Down AC (56 points) lead the way in the male and female standings respectively. In the men’s competition, the Belfast club have a four point lead on North Down AC (48 points), who in-turn have the edge on Willowfield Harriers (44 points) with the same margin. Victoria Park & Connswater AC are well in the mix with 40 points. North Down AC are being chased by Ballydrain Harriers (52 points) in the ladies table, with four points again being the lead margin. Both clubs are well clear of any competition, with Dromore AC being the closest challengers on 33 points. In the race for individual glory, Mark McKinstry (North Belfast Harriers), a gold medallist at last weekend’s British & Irish Masters International XC and winner of the recent McConnell Shield XC, could be amongst the front runners. 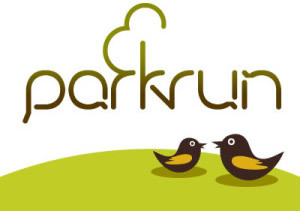 Neil Weir (Willowfield Harriers), Allan Bogle (City of Derry AC), John Craig (Victoria Park & Connswater AC), Steven McAlary (City of Derry AC) and Eoin Hughes (Acorns AC) may start. In the ladies race, Dromore AC’s Laura Bickerstaff and Beechmount Harriers duo Catherine Diver and Gerrie Short could be amongst the starters, with Martina McMullan (Foyle Valley AC), Paula Worthington (Ballymena Runners) and Jenny Black (Victoria Park & Connswater AC) also likely to toe the line. The weekend action will kick off with a very worthwhile charity event (Friday 23rd November 2018), with North Down AC hosting ‘Run for Hollie’ at Ward Park in Bangor, County Down. The 5k event is in aid of young Hollie Massey and will raise funds for her treatment of a rare brain tumour which is not available in the UK. Full details of the event are available HERE. If you cannot make it, you can also donate to the very worthy cause HERE. On Saturday 24th November 2018, runners from across Northern Ireland will turn out in support of the Mourne Mountain Rescue Team as they take on the annual ‘Running 4 Rescue’ races; this year athletes have the option of half marathon or 10k distances, with all proceeds going to the voluntary team. The event headquarters is at Annalong Community Centre and both courses will take in challenging but incredibly scenic routes, starting and finishing close to the Community Centre. Registration is available on race day with the half marathon kicking off at 10am and the 10k at 10:30am. Amongst those taking part should be several international stars, including William McKee (Mourne Runners), Andrew Annett (North Belfast Harriers), Justin Maxwell (East Coast AC), Sarah Graham (Mourne Runners) and Hazel McLaughlin (Lagan Valley AC). 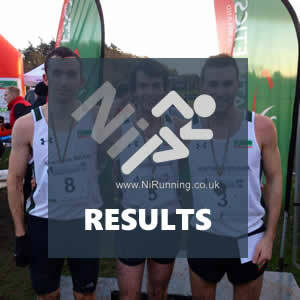 John Black and Kelly Neely claim top honours at County Down 5k!